Gone are the days when one could associate the word erratic with Umesh Yadav. It was a term often taken in the same breath as his name. Such was his inconsistency earlier that he would bowl five terrific deliveries in an over and still his captain wouldn’t be happy. Why, you ask? The sixth ball invariably would drift down the leg side or be short and wide or overpitched and, more often than not, the batsman would send those loose balls away to the fence. Now, Umesh is being hailed as the most improved bowler in the Indian cricket team. He may have taken his own sweet time to make himself worthy of that praise, but hardly anyone can point fingers at the Vidharba pacer. The home Test season was one of the high points in his career. 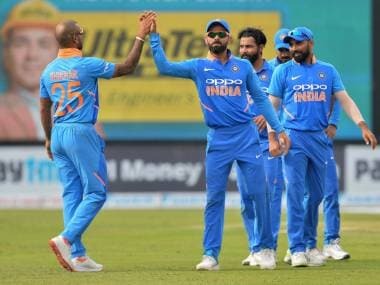 May it be the thrilling spell against Bangladesh’s Shakib Al Hasan or the partnership with Bhuvneshwar Kumar in Dharamsala against Australia, Umesh outdid himself and proved his detractors wrong. Those opening overs against Steve Smith and Co led many to ask: Did the Indian pacers outclass the Australian fast bowlers? The answer was a big 'yes' and Umesh was one of the reasons for that. The stats, although, display a different picture altogether (another reason to not go by the numbers while assessing a player). Umesh played 12 of the 13 Tests that India played at home in 2016-17, which itself is an indication of how fit the pacer was. But his wicket tally in those matches is a bit modest. He took 24 wickets at an average of 36.76. But what the numbers don’t tell us is the number of times he beat the batsman or the catches that were spilled off his bowling. 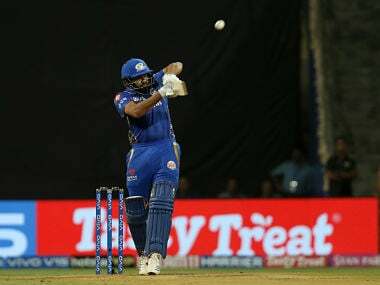 With the new ball, he put pressure on the batsmen and bowled as many dot balls as possible, so that the spinners could come on and cash in. But all these performances were with the red ball. So the doubt on whether he could bring this form into white-ball cricket still remains. It was at the Eden Gardens against Kings XI Punjab in Indian Premier League (IPL) 2017 that Umesh made his comeback after recovering from a few niggles. The Kolkata Knight Riders pacer began his first over decently until Manan Vohra dispatched him for a six. Thereafter, KKR skipper Gautam Gambhir decided to give him one over spells and it worked wonders. After conceding only four runs in his second over, he came back and cramped Punjab captain Glenn Maxwell for room to dismiss him in his penultimate over. Maxwell’s men looked set for 190, when Gambhir decided it was time to go to his strike bowler. The score was 145/4 and at the crease were the explosive David Miller and Wriddhiman Saha. The 29-year-old started with a back of a length delivery which was pulled away by Miller for a maximum. He went for a yorker next up, but missed it by a small margin. That was enough for Miller to send it to the mid off fence. The pressure was on Umesh and he erred. An attempted yorker ended up being a juicy full toss, but fortunately for him, Miller hit it towards the mid-wicket fielder, who pouched it comfortably. The fourth delivery was full and on the off stump which Saha tried to loft over mid-off but couldn’t beat the player at that position. The Punjab wicketkeeper-batsman was dismissed. Umesh now was on a hat-trick. Though Mohit Sharma negotiated the next ball well and averted the hat-trick, Umesh struck with the last ball of the over to not only take his fourth wicket of the match but also break the momentum of the Punjab innings, which ended on 170, 20 short of what Maxwell and Co would have liked. The Vidharba pacer continued this good work all through tournament and ended as KKR’s joint-highest wicket taker. He had, indeed, brought the long format form into the shortest format of the game. What has brought the change in Umesh? He has added a couple of new tricks to his repertoire. Earlier the 29-year-old used to rely almost solely on bowling fast and bouncing the batsmen out. However, he has developed other means to take wickets. He has started reversing the ball and if the old ball is doing nothing, he will unleash his cutters. He also has a potent yorker to spice things up. And most recently, he was seen using a leg break. His constant improvisations have made him more effective and dangerous. Along with the technical enhancements, his self-belief has also increased. During the home season, Umesh admitted to have matured more and attributed this transformation to his wife. He also revealed how not being able to play matches on a regular basis hampered his morale and he didn’t get the rhythm he would have liked whenever given the opportunity. But with the backing of Virat Kohli and coach Anil Kumble, he has prospered. This Champions Trophy, the Indian team possesses four excellent pacers. Jasprit Bumrah, a 'death' overs specialist, Bhuvneshwar Kumar, someone who can swing the ball both ways and be just as effective in the slog overs as the start. Going by recent form, these two bowlers should feature in the starting eleven. 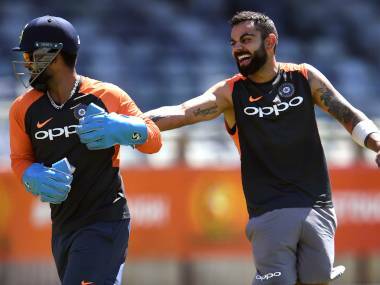 It is still unclear whether Kohli would bank on Hardik to do the third seamer’s job or he would opt for a specialist bowler. If he does opt for a genuine fast bowler, it will be a toss up between Mohammed Shami and Umesh. There is nothing to differentiate these two except the fact that Shami is short on match practice in ODIs. In the past one year, Umesh has demonstrated his enriched potential in the Test format. He has now got the perfect chance to prove his credentials in the ODI format in a major ICC tournament. What stands Umesh in good stead is that nowadays he is not erratic. The skipper is now satisfied with him because after bowling those five terrific deliveries he ensures the good work is not spoiled by a poor sixth ball. 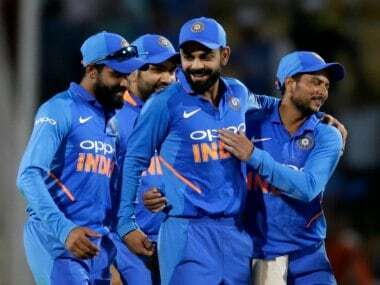 He has started the Champions Trophy preparations against New Zealand by bowling four overs at an economy rate of 2.75 and scalping one wicket. The onus now is on the matured Umesh to end it well.